While I don’t eat a lot of seafood, one surefire way to get me to eat it is to coat it in batter an fry it up. There, I said it. I love me some fried seafood – my favorite is popcorn shrimp (although anything with the word “popcorn” in it’s name is probably good.) In addition to popcorn shrimp, Gorton’s Seafood offers a variety of crispy fried (or for those eating healthier – nicely grilled) seafood. From comfort food favorites to succulent premium selections to tasty choices that will help make sticking to your diet easy, Gorton’s offers a wide variety of delicious seafood options. Gorton’s Seafood is the easy way to eat fish every week! Truth be told, I rarely shop in the frozen seafood aisle. The issue I’ve had in the past is quality. When it comes to seafood – especially frozen seafood, you want to make sure that you’re getting quality product that won’t taste mushy or “too seafoody” when cooked. 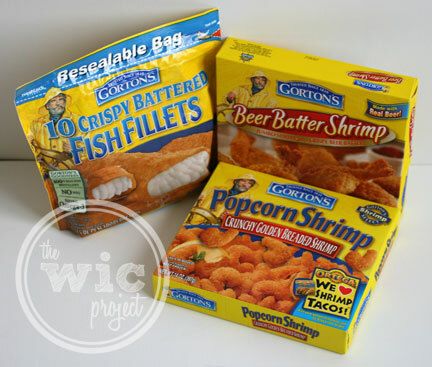 When I stopped in front of the Gorton’s Seafood section of the freezer, I was impressed by the different options they had to choose from – Beer Batter Fillets, Tilapia, Shrimp Scampy, and more. After a few moments of pondering, I selected a bag of the Crispy Battered Fish Fillets, a box of Beer Batter Shrimp, and a box of Popcorn Shrimp. First up, I decided to try the Beer Batter Shrimp. These shrimp are no joke. They are sizable jumbo shrimp that have been butterflied and deveined. They’ve been dipped in “pub-style batter” made with real beer and were ready for a quick cook in the oven. 15 minutes at 425 degrees F. They came out with a perfect crisp, just the right amount of golden, and were a big hit with everyone. These are great options for dinnertime or even for appetizers at a party. They’re the perfect finger food. Next we cooked up the Popcorn Shrimp. Again, these cooked up quickly – 14 -16 minutes in the oven (at 425.) 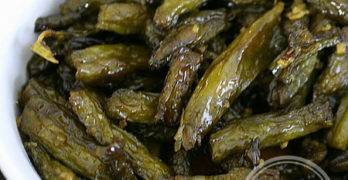 After baking, they also had a great crisp and were perfectly cooked without excess of oil or grease. You have to be careful with things that say “popcorn” because you might find yourself eating shrimp after shrimp while watching an old Heroes episode. Maybe, possibly. I haven’t cooked up the fillets yet, but if the shrimp have anything to say about it, these will be delicious as well. I was so impressed with the flavor and the coating of the Gorton’s Seafood I sampled. They cooked up beautifully and I loved that the shrimp weren’t mushy or too firm. If you want delicious and easy to cook seafood to serve to your family, you can find Gorton’s in the freezer aisle at a grocery store near you. THREE (3) Winners will each receive TWO (2) FREE product coupons and a Gorton’s Custom dinner plate! I like the beer batter pretzel bake recipe. I’d love to try the Cheesy Garlic Fish Filet Sandwich! I like the Citrus Grilled Shrimp Salad recipe. I love the Authentic Fish Tacos!! Butterfly Shrimp with Three Different Dips. I love shrimp! I love the Grilled Fillet Stir Fry. I like the Butterfly Shrimp with Key West Sauce. Asian Shrimp Wontons sound real good. That coconut lemon shrimp stir fry sure sounds good. Asian Shrimp Baked Wontons! They sound soooo good! Grilled Salmon Cucumber Salad sounds really good! 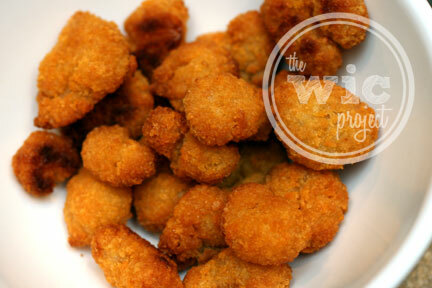 I’d like to make Pow Pow popcorn shrimp. My favorite recipe is for Grilled Shrimp & Baby Portobello Mushroom Quiche. Thanks. My favorite recipe is the fish tacos- quick easy and yummy! garlic butter grilled filets are good. The Asian Shrimp Baked WonTons sound good. I would love to try the Coconut Lemon Shrimp Stir Fry recipe. I liked the recipe for Asian Shrimp Baked Wontons! Shrimp Scampi Pizza looks delicious! I like using fish sticks to make tacos. My family loves the fish filet as fish sandwiches or tacos. Baked Fish Italiano is for me. Cream of Shrimp Soup! Thanks. My favorite is the BLT Tenders Salad. I have always been a big Gorton’s fan for quick and easy meals when I am in a hurry. Thanks. The popcorn shrimp are “all-mine” !! Tenders Pasta Bake sounds yummy. My favorite Gorton’s recipe is the grilled salmon ceasar salad! Athenian Fillets sound good to me. I think the lemon coconut shrimp sound delicious. Thanks! I love the bear battered fillets with lemon and tarter sauce!! Coconut Lemon Shrimp Stir Fry sounds delicious! We love Gorton’s Tenders and we like to make BLT Tenders Salad this is one of our favorites! Favorite – Coconut Lemon Shrimp Stir Fry. I like the Coconut Lemon Shrimp Stir Fry. Tilapia with Orange Glaze is my choice. I’d love the popcorn shrimp! The recipe for Seven Layer Tenders Salad sounds delicious and EASY!!! Thanks for the opportunity, my hubby LOVES any type of fish, I only eat the popcorn fish! My favorite recipe is the Maple Glazed Salmon. The Authentic Fish Tacos look yummy!! The Cheesy Garlic Fish Fillet Sandwich looks yummy! My favorite recipe is Cheesy Jumbo Butterfly Shrimp ヅ *Thanks* for the giveaway! Butterfly Shrimp with Key West Sauce looks good. willing to try anything for free. I’d like to try the Parmesan Fish Stick Dippers. Coconut Lemon Shrimp stir fry looks yummy! I love the thai style tilapia wraps. My favorite recipe is the Breaded Tilapia with Mango Salsa. I like the Mini Cocktail Roll-ups. The Authentic fish taco’s look so yummy! The Salmon Piccata looks good. I like the BLT Tenders salad. The crunchy filet Cobb salad looks awesome! The Asian Shrimp Baked Wontons look yummy! The citrus grilled shrimp salad sounds great! I like the Parmesan Fish Stick Dippers. Asian Shrimp Baked Wontons look yummy. coconut lemon stir fry shrimp! YUMMY! I would like to try the Shrimp Quesadilla recipe! I would like to try the Parmesan Crusted Tilapia. Thanks! The shrimp scampi pizza sounds delicious. I love the Authentic Fish Tacos! I like the Grilled Tilapia Tropical Spinach Salad. Popcorn Shrimp Chili and Cheese Bread Bowl looks good! Like the BLT Tenders Salad!